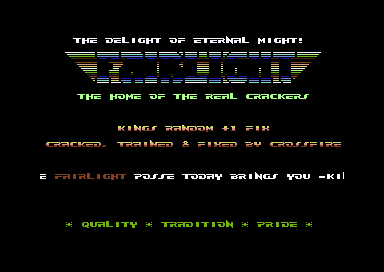 The flashy logo seems to be copied straight from the game Retrograde. Quite allright, nothing special thou. This is sort of a forgotten one. Always wished to see it more often. Coded by The Alchemist. (That is the Swedish guy called that which was in FairLight, and not the American).